Only two Scarborough League sides managed to make their way through from round two of the Scarborough FA Junior Cup, and they were in all-Scarborough League affairs. Second division Edgehill Reserves claimed a 6-1 home win against Division Three promotion-chasers Sherburn. Player-boss Martyn Ferrey netted twice for the victors, with Lee Dennis, Andy Noon, Ryan Link and 17-year-old Ben Atkinson also on target, the latter scoring a cracker from 30 yards, his first for the club. Atkinson was the man of the match for Edgehill while Matt Whitehall, who scored Sherburn's consolation from the spot to make it 5-1, was the visitors' man of the match. Seamer Sports Reserves claimed a 2-1 home win against Goalsports to book their place in the next round. The home side dominated the first half, Tommy Adams opening the scoring with a towering header from a free-kick and in the 20th minute Marcus Mockridge tapped home the second goal to put Seamer in the driving seat. The visitors were the better side after the break and deservedly pulled a goal back on 67 minutes when player-boss Mark Plumpton sidefooted in from 25 yards after a goalkeeping error had gifted him the ball with an empty net to aim at. Goalsports piled on the pressure and thought a Paul Oldroyd free-kick had crept over the line but the goal was not given, while Oldroyd and Kieran Friett both fired great chances straight at the Seamer keeper. Lee Tate was the Seamer man of the match for a strong display at centre-back, while Plumpton gave the star man award for his whole team after their second-half revival. Third division Ayton suffered a 7-2 home loss against Beckett League top-flight side Kirkbymoorside Reserves, James Cooke and Chris Milburn scoring for the hosts. Newlands Reserves sank to a 4-0 loss at another Beckett League side, Heslerton, with Joe Mills (2), Billy Bown and John Emmerson (penalty) on target for the villagers. 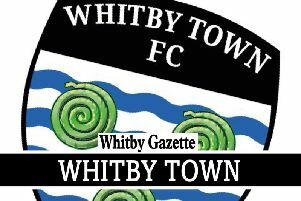 Filey Town Reserves slipped to a 6-0 loss at Ryedale Sports to continue the Beckett League's top form, Town playing out the game with only 10 men as one player limped off injured and the visitors travelled without subs. Martin Myers scored a hat-trick for Ryedale, with John Ellis, Jonny Sellar and Jamie Fewster also notching. Goldsborough United suffered an 8-0 reverse at Kirkdale United, all the goals coming in the second half. Sub Dave Carmody was the only away player to impress for Goldsborough.